Motoi SAKURABA, born upon August 5th, 1965 in Akita, Japan, may be renowned as a composer for computer games, or a founder of a Japanese symphonic progressive rock project named DEJA-VU. 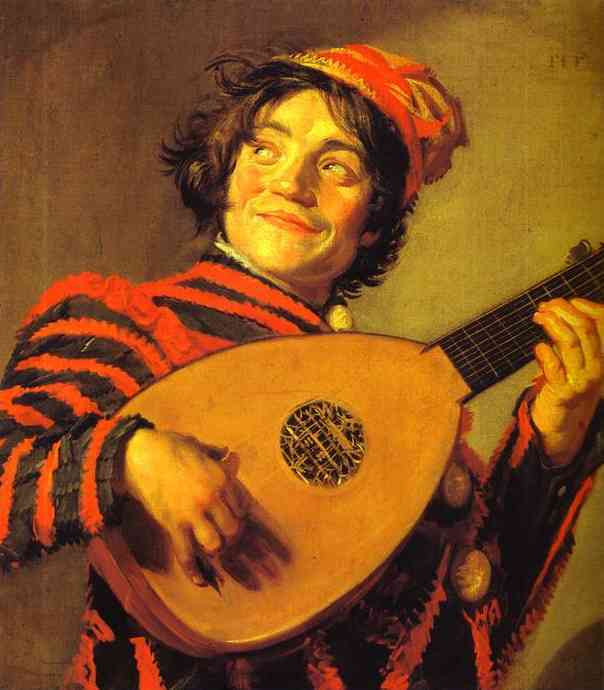 Although he'd played as a studio musician for a while after DEJA-VU disbanded, he started composing lots of songs in computer games for the reason he could hardly live on as a studio musician, from what he'd said. 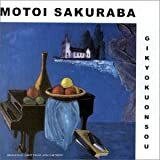 On the other side, Motoi has released some eclectic solo albums, with his debut work titled "Gikyoku Onsou" (1989) as a start. Now he's very active as a game musician and simultaneously as a solo artist, through live performances in Tokyo. 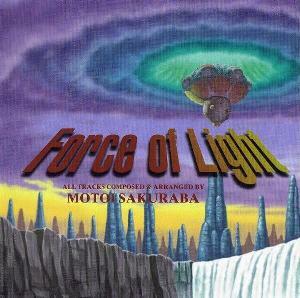 From the early-90's and on Sakuraba's obligations on video soundtracks took much of his time and he reasonably focused on composing music for the countless games of his company.He even helped Masaaki Uno, a former member of the Wolf Team, who had a contract with Camelot Software Planning, in numerous soundtracks, but he actually never abandoned his progressive roots.One of the best examples is the soundtrack of the game ''Shining the holy ark'', released in 1996 on Oo Records, featuring again Takeo Shimoda (of White Fang) on drums and violin player Kishi Linnko. I remember back in the 90's, when I was hooked up by many video games on various consoles, and most of the music sounded quite intricate and unique. 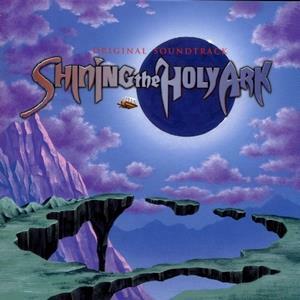 ''Shining the holy ark'' was an unknown role-playing game to me, but maybe I would have discovered Prog Rock much earlier, if had played the game.And that's because this sounds as a complete Progressive/Symphonic Rock experience, the music is extremely bombastic like a more symphonic-oriented GERARD with Sakuraba shining with his work on organ and synthesizers.Entirely instrumental, this one is split between majestic Classical inspirations on piano and organ with plenty of romantic segments and mainly some powerful Symphonic Rock in the vein of E.L.P., with very good drumming by Shimoda.The occasional violin drives of Linnko add the sound an aura close to compatriots OUTER LIMITS or MIDAS, creating an even more complete sound.It's not that Sakuraba was in the need of these violin parts, the man is an absolute magician of keyboards, his Baroque influences come often in evidence and his prog past is on full display on the impressive keyboard pyrotechnics and endless solos.Quite often the material seems to pass in a more Electronic/Symphonic vein with drums or bass being absent and Sakuraba becoming the ultimate centerpiece with his atmospheric soundscapes and superb symphonic orchestrations, which come closer to cinematic music at this point. Convincing, grandiose and dynamic Symphonic Rock in the vein of E.L.P., RICK WAKEMAN and even VANGELIS.An absolute must-have for all lovers of the style as well as the majority of Prog fans, who do not mind keyboards becoming the leading instruments.Highly recommended overall. Motoi Sakuraba is an extremely prolific Japanese keyboardist. He started his career in ELP- style trio called "Deja-Vu". However soon after releasing 1st album of the formation called "Baroque in the Future", he began a very successful way of solo artist. Unfortunately as most of his works are computer game soundtracks, many progressive rock fans are afraid to check it. So I tell you: don't be! Most of albums recorded by Sakuraba are really used as OST, but 90% of them are filled with pure, 70s-style inspired symphonic prog-rock! I'd especially recommend prog-lovers to listen to Motoi's "arrange albums", as they include special versions of his soundtrack disks. 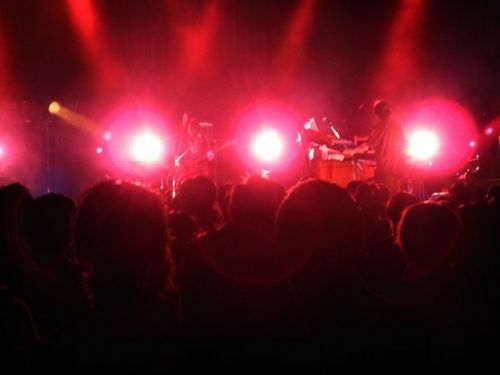 Compositions are much extended there, and he also uses more rock-oriented instruments. Anyway Sakuraba managed to record some non-soundtrack CDs too. "After All?" is one of the most prog-rock sounding album of this fantastic keyboardist. 1. "Sorrow" ? album starts with a very gentle introduction. It's just a short composition played on Grand piano but it's surely beautiful. Nice start, but rather unrelated to the "real thing"? 2. "Megrim" ? ?and real thing is of course Sakuraba's famous non-stop organ & synthesizers bashing! "Megrim" is a truly exciting instrumental filled with total keyboards extravaganza. I know that Motoi is using digital Korg CX-3 and CX-2 organs, but well, they really sound like a proper Hammond organ for me. And he really knows how to use this gear, man! I can also hear nice, fat-sounding bass lines and frenetic drum work. However I couldn't find who's playing those instruments here. They certainly seem to be real people, not digital machines?however I have to admit that nowadays it's sometimes difficult to judge. 3. "Try Again" ? after one bombast?comes another one! "Try Again" is a fully symphonic track driven by omnipresent synthesizers and traditionally maniacal organ work. Very similar to Toshio Egawa's style (from band "Gerard"). Classic sound for me. And final organ solo is SPLENDID! 4. "Not Here" ? 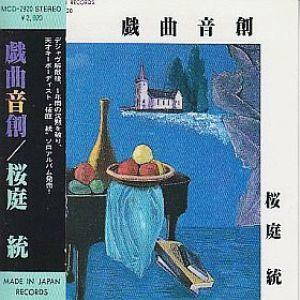 finally Sakuraba lets us breath for a while with this short, piano-based interlude. Cute little thing. Nothing memorable but nice addition after all. 5. "Stand Still" ? oh man, what a ride! Spectacular composition led by ultimately busy Grand piano lines, dazzling Korg organ and speedy bass guitar in the background. It's not only technically perfect, it's also filled with catchy jazzy melodies which will simply force you to tap your foot in euphoria. 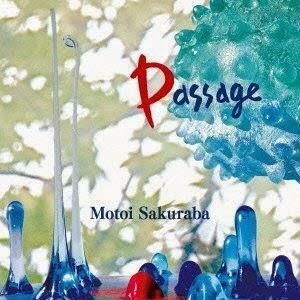 And there are also more peaceful fragments when we can fully enjoy Sakuraba's phenomenal piano skills. I can clearly hear inspirations taken from Emerson's "Karn Evil 9″ in "Stand Still". 6. "Shade Inside Groping" ? this track begins with more pompous, slow-moving motif played on mellotron (I suppose samples). 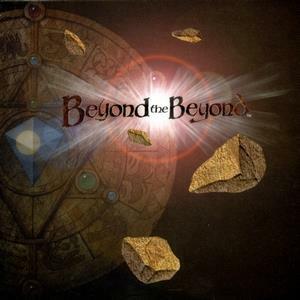 It's very atmospheric and symphonic-oriented. Weeping organ solo in the middle is worth to be noticed too. Monumental piece I think. 7. "Lie" ? in "Lie" Sakuraba comes back to his favorite fast-tempo approach. I love the heavy bass guitar sounds here and ultra-cool old-school organ leads/ripping solos. However some of digital synths used here are slightly annoying to be honest (too loud maybe). 8. 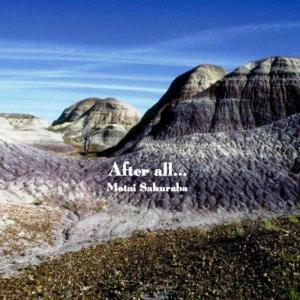 "After All?" ? titled track is another muscular, jazz-rock bordering composition driven by crushing organ and rhythmic piano bits. But there are also few mellow mellotron sequences which are always welcome for me. 9. "The Way" ? the longest instrumental on the album kicks off with digital synthesizers layers similar to some recent work of Rick Wakeman, but after few seconds we're going back to well known territory of mean organ riffs and squeaking Moog lines. Highly recommend composition if you want to check "what Motoi Sakuraba is about". 10. "Suffering Mind" ? album finishes with soft Grand piano "epitaph". A bit romantic, a bit sad but for sure highly artistic and definitely classical music inspired. Good ending overall. 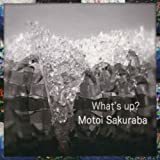 To sum up: Motoi Sakuraba's last solo effort is really worth your attention, especially if you're interested in keyboards-driven prog in the vein of "ELP", "Trace", "Refugee", "Gerard", "Social Tension", "Ars Nova" or Sakuraba's original band ? "Deja-Vu". It's so full of 70s superb style, that only modern production really betrays it's age. If you like this record, I'd also advise you to check following albums of this artist: "Live Concert: Star Ocean & Valkyrie Profile", "Live 2006 ? Valkyrie Profile 2 - ", "Gikyokuonsou", "Shining the Holy Ark" and "Tales of Series Battle Arrange Tracks". All of them are a must have for Hammond organ sound lovers (especially his 2 concert albums). Best tracks: "Megrim", "Stand Still" & "Lie". A prolific Japanese musician,born in 1965 in Akita Prefecture, who's career started discreetly with the Symphonic Rock band Deja Vu and their album ''Baroque in the Future'' in 1988.When Deja Vu split up, Sakuraba found a job as a main composer for computer games at the Japanese Wolf Team, a subsidiary of Telenet Japan.In the meantime he wrote material for his first solo album,this was to be released in 1990, entitled ''Gikyokuonsou'' on Made In Japan Records.Sakuraba handles all synths,organ and piano, helped by drummer Takeo Shimoda and bassist Ken I[&*!#]a (last bassist of Deja Vu and session musician with Ars Nova). The debut of Sakuraba finds him blending the familiar symphonic keyboard attitude met in Deja Vu with strong and bombastic Jazz/Fusion and his style is not far from that of JORDAN RUDDESS or DEREK SHERINIAN,though played much earlier than these two American keyboard idols.About half of the tracks are characterized by the powerful synth work of Sakuraba, including grandiose flashes, shifting changes and dynamic grooves with a Fusion edge, always supported by the solid rhythm section.The sound is very rich and even quite heavy at moments.The rest of his compositions remind of his days with Deja Vu.Magnificent keyboard-based Symphonic Rock with massive Classical-inspired parts through the majestic use of piano and synthesizers with evident E.L.P. and RICK WAKEMAN influences, his work on the grand piano still is a trademark of his style and education.Despite being a whole more melodic than the Fusion numbers, his symphonic side remains as powerful and energetic as the Fusion one with virtuosic solos among the softer touches. 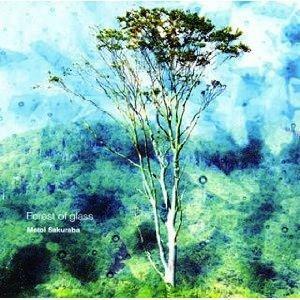 Nice instrumental keyboard-drenched Progressive Rock by this important Japanese figure, which will be loved by anyone searching for a good combination between technique and harmony in his progressive preferences.Recommended.